Glass Sinks | Unique Designs | Leading Brands at Incredible Prices! For a unique kitchen feature, there’s nothing more striking and contemporary than one of our elegant glass sinks. 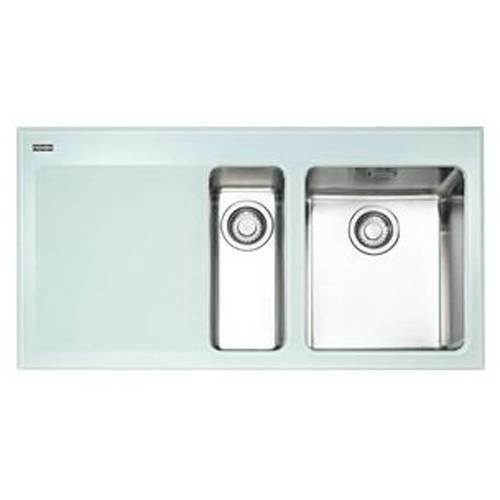 These stunning sink frames are made from hard-wearing toughened glass, typically married with a gleaming stainless steel bowl to create an undermount effect. They make a design statement that you’ll adore. Glass sinks are available in a varied range of beautiful designs by leading manufacturers – all attractive and very practical. Call our friendly product experts on 0116 274 4059 today, and they’ll help you make the right choice for your home.